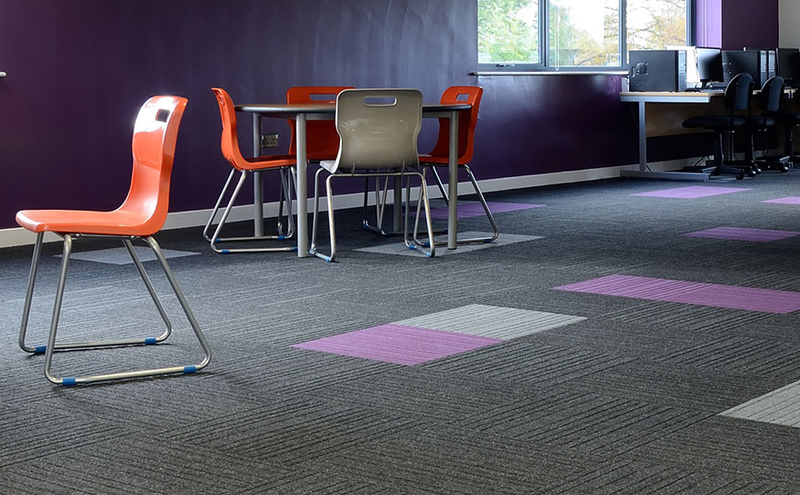 Carpet tiles are available in a wide range of colours, patterns and shapes making them a flexible flooring option that can be adapted for any interior design scheme. Stebro Flooring is a family business with over 50 years experience – we have the experience to help you find the perfect flooring to match your unique space. Specialist flooring contractors. Looking for advice or a quotation? 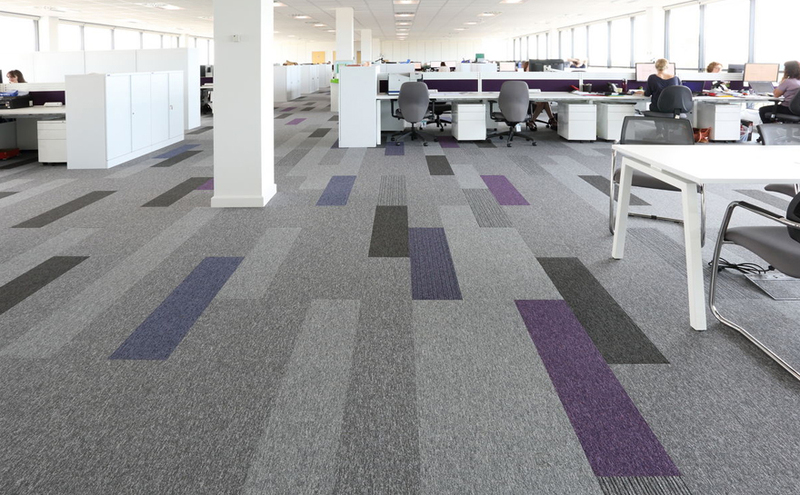 Commercial carpet tiles are extremely hardwearing and cost effective making them one of the most popular commercial floor coverings for office flooring and school flooring. 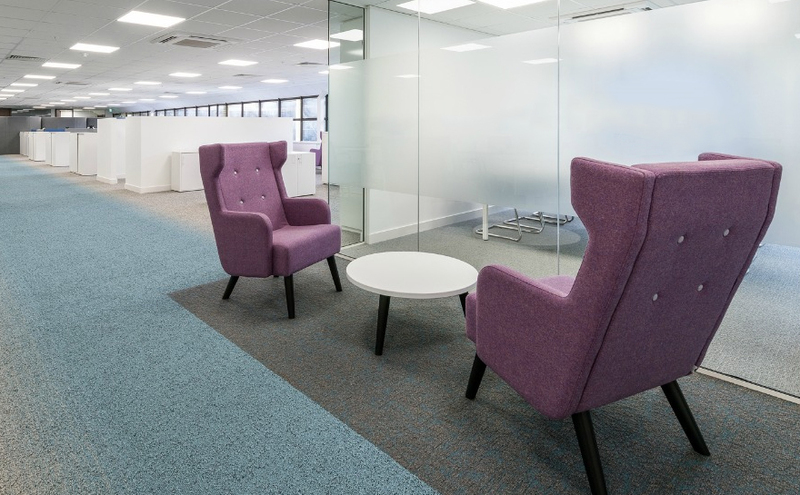 Carpet tiles are available in a wide range of colours, patterns and shapes making them a flexible flooring option that can be adapted for any interior design scheme. 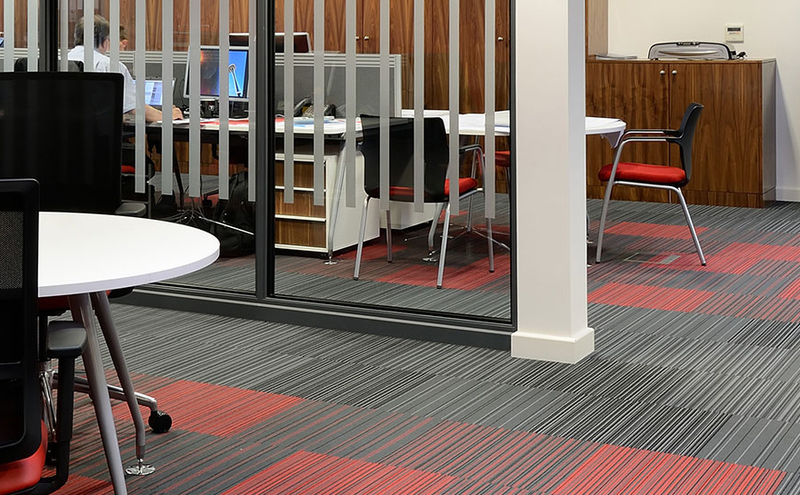 As the UK’s leading supplier and installer of commercial flooring we have access to a wide range of products to suit your budget and design ideas. For over 50 years we have supplied industrial flooring products from all of the leading manufacturers, including Interface, Heckmondwike, Desso, Rawsons, Gradus, Burmatex and Miliken, giving you an extensive choice of colours and patterns. Carpet can easily get stained by liquid or food spillages. Commercial flooring tiles are very hardwearing and will withstand several industrial cleaning cycles. If a spillage does leave a permanent stain, it’s easy to lift the damaged tiles individually to replace them. Have concerns about the sustainability and recyclability of your flooring? All of our recommended flooring manufacturers have removed toxic materials and carcinogens from their products which has significantly reduced the potential environmental damage from their manufacturing processes. A number of manufacturers operate extensive recycling programmes to collect used carpet tiles. The yarn is separated from the tile backing and is reused in the manufacturing cycle in new tiles. The tile backing is reused in the construction industry to make roofing products and concrete. Why choose us for your commercial carpet tiles? We’ve installed 1000s of floors for a range of clients including multinational and independent businesses and public sector organisations. You will work directly with one of our company directors who will personally oversee your project to ensure it’s finished on time, on budget and to an exceptional finish. Contact us for a no obligation quote, expert advice or to request samples of our flooring products.